Challenge your friends and see who will blink first in this video game adaptation of chicken! Two rectangles make their way along a set of railroad tracks, towards the center of the screen. Their only obstacle is a relentless train that arrives out of nowhere, crushing those who stand in its path. 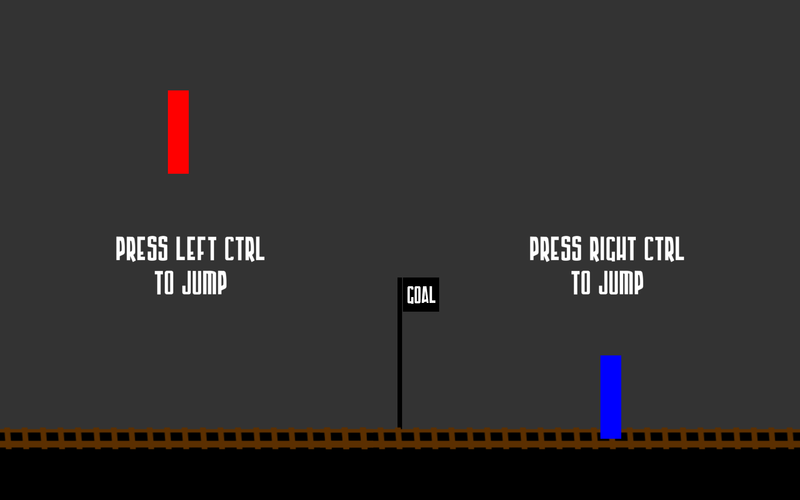 Jumping allows them to hang in the air until the train passes underneath them, but stops their motion towards the center of the screen until the train has passed and they fall back down to the tracks. 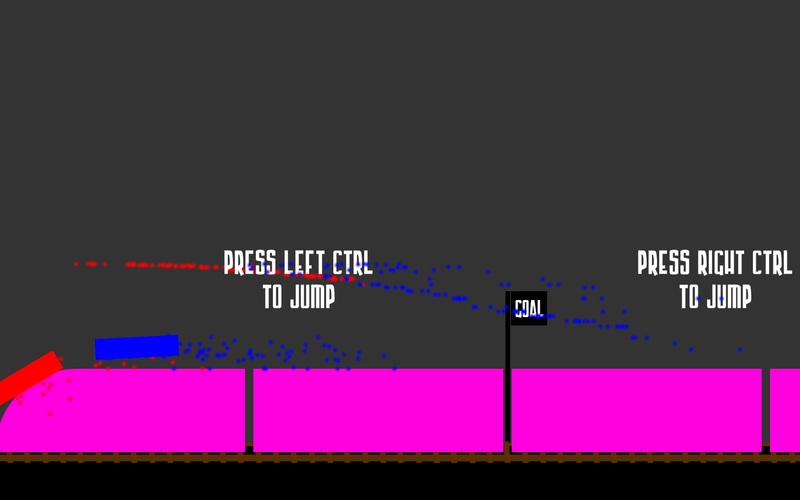 This game was developed during Train Jam 2015, on the 3-day train ride from Chicago, IL to San Francisco, CA. Some bugs have been fixed, and audio added since then. 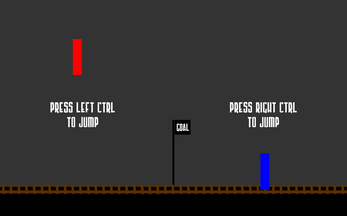 The game requires the players to share a keyboard and use the left and right control keys.